Partnering with Government to strengthen the knowledge base, and develop the skills within Early Childhood Development Centres is important to ensure that quality learning and teaching takes place. 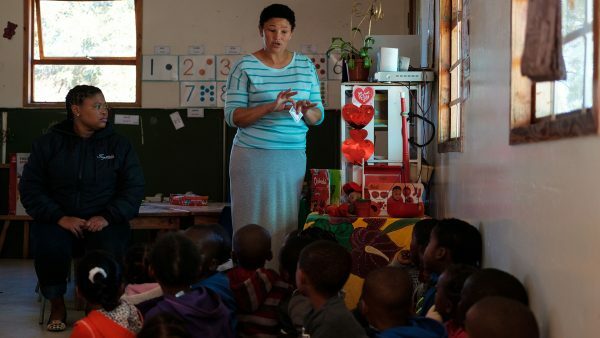 Whilst it is the mandate of the Department of Social Development to respond to the needs of Early Childhood Development Centres, in the event of the Cookhouse Early Childhood Development Flagship Initiative, the wind farm has partnered with the Department to attended to specific intentional interventions across 28 ECD Centres, whilst the Department of Social Development responds to the operational needs of ECD Centres. 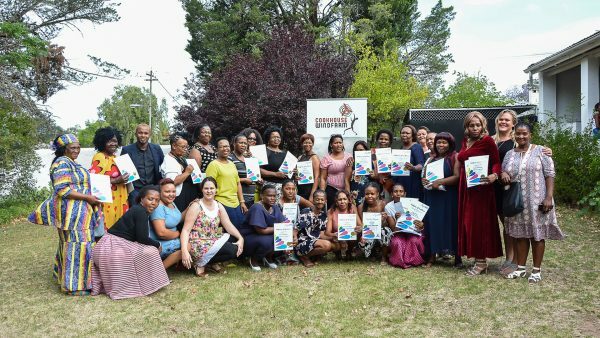 The most recent cohort of 44 practitioners, graduated on 6th December 2018, having commenced with NQF Level 2 training, in April of 2017. Boasting a 92% pass rate, this brings the number of Practitioners that have been upskilled as part of the Cookhouse Wind Farm ECD Flagship programme to ninety-one, since its inception in 2016. Improved level of qualifications impacts young children in the communities of Somerset East, Cookhouse, Bedford and Adelaide. By upskilling Practitioners through the provision of accredited training programmes and interventions, and ongoing mentoring and coaching, it is assumed that the quality of learning and teaching at ECD Centres located within the Cookhouse Wind Farm beneficiary communities will improve. “It is this type of partnership that supports sustainable development, in the form of upskilling of Practitioners, to ensure improved teaching that enables our communities’ children to benefit today and for generations to come,” explained Elton Gordon, Special Projects Manager within the Community Operations Department at Cookhouse Wind Farm. Furthermore, an overall increase of 47% in the overall development of learners were measured using the 5 Development Domains over a 12 months, starting from January 2017 to December 2017. This significant improvement is attributed to the NQF Level 2 training implemented during 2016. Training is further supported by ongoing mentoring and coaching, which is provided to the qualified practitioners, in order to allow practitioners to implement in the classroom what they have been trained on. This allows for the development of both sound knowledge and skills amongst qualified practitioners. A thorough baseline assessment was conducted on the ECD centres participating in the programme, which highlighted the vast need for improved Early Childhood Development facilities and competent practitioners to meet the needs of developing children. “Early Childhood Development remains a priority for our county, which is why it is supported by legislation and national policies and why our funding aims to help develop young children during these critical foundation years,” concluded Gordon.